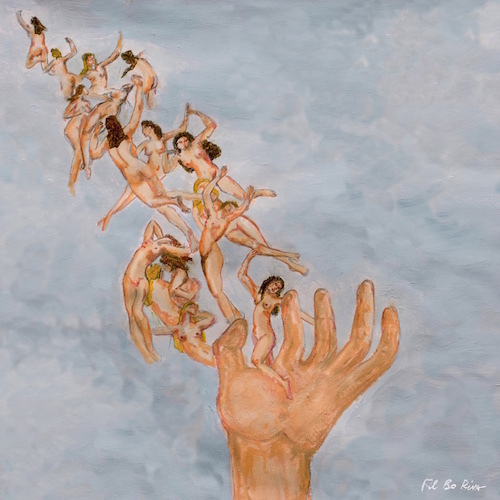 Following many singles, If You’re Right, It’s Alright EP, three sold-out tours and an nomination for the Europe Talent Award, Fil Bo Riva releases debut album, Beautiful Sadness, on 22.03.19. Written over the last two years, the collection of indie-pop gems possess a breezy confidence and assurance, scanning like the work of a canny veteran. This is no surprise; after countless hours in the studio honing and re-recording ideas alongside guitarist Felix A Remm and producer Robert Stephenson, they have a worn in feeling, like a pair of favourite slippers. The tone is set early with euphoric opening track ‘Time Is Your Gun’, full of soaring vocals and dreamy, sky-high guitar lines. It recalls the heyday of joyous, hands-in-the-air indie sing-alongs, and is a summer festival anthem in waiting. ‘Blindmaker’ is similarly uplifting, walking a line between neat guitar grooves and widescreen crescendos. “It feels so right I could die / Loving you” he croons, revealing his inner hopeless romantic. Elsewhere, the straight up indie stomp of ‘Go Rilla’ has radio hit written all over it, while ‘Radio Fire’ – a dialogue between regretful lovers – has a dark swagger and lusty undertones, a torch song for modern times that’s ignited by an incendiary, fuzzed out guitar line. Love is a common theme on Beautiful Sadness – “I wrote about things I was going through; issues, problems, and beautiful things with my girlfriend,” he explains – and Bonamici doesn’t shy away from direct declarations. “You mean too much to me”, he sings on ‘Radio Fire’, a sentiment that morph’s into “I’m tryna get control of this love”, on ‘Head Sonata (Love Control)’. Yet he’s equally adept at the plaintive and poetic. 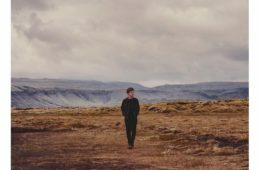 “Inside your wondering eyes I see the stars”, he sings on ‘Wondering Eyes’ with the same sweetness that’s baked into ‘L’over’, a wonderfully tender paean to loneliness and broken hearts. Such sentiments reach a peak on ‘L’Impossibile’, a beautifully sensuous slow jam that highlights his production skills as much as his songwriting ability. Slipping into his native Italian for the widescreen chorus, sung over trilling mandolins and sweeping pianos, it’s epically lush in the way that classic love songs always are – a key change towards the end pushing it even further towards the heavens. In many ways, it defines Beautiful Sadness and everything Bonamici set out to achieve. Immensely proud of his heritage, one of his dreams is to prove that artists from Italy – or from anywhere – can succeed on their own terms in international markets without downplaying their roots. It’s something he’s thought about since he was a kid, messing around in the garden with those cutout guitars. Now, aged 26, and the author of such an assured collection of songs, it’s a dream he’s surely about to realize.